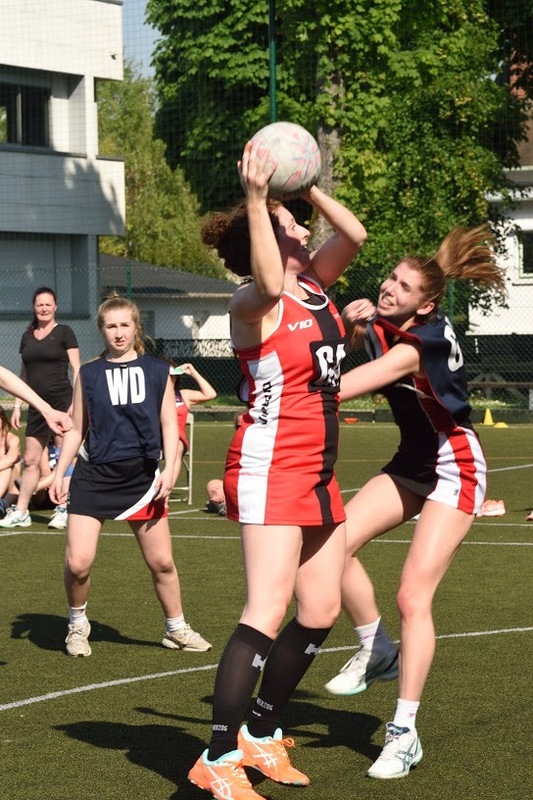 On Saturday 5th May, Netball Paris hosted our 2018 Spring International Tournament at the British School in Paris. The day was packed full of over 25 Netball games, a Zumba-style warm up session, shared picnic lunch, all followed by a fun night out in central Paris! Eight teams from across Europe, including teams from Brussels, London, Amsterdam, and a few based in Paris, competed in the day-long competition. With a total of over 100 netball enthusiasts on-site, including players, support personnel, help volunteers, and committee members, it was nice to see so many people brought together by their love of the sport. A big congratulations to everyone who competed, plus a further 'well done' to Amsterdam 1st place winners, Cranberries 2nd place and London 3rd place. Additional highlights were 28+ degree sun, cake and cookie sugar overload in the bake-sale, and our resident megaphone superstar, Joe!